The Mills Care Group is an independent provider of residential, nursing and learning difficulties care homes in Kent and the London Borough of Bromley. Established in 1985, The Mills Family Ltd, Chislehurst Care Ltd and Fairmount of Mottiingham Ltd now operate under the umbrella of The Mills Care Group. With five homes and a supported living unit, Mills Care Group comprises of 250 qualified members of staff dedicated to providing individual care for over 200 people. 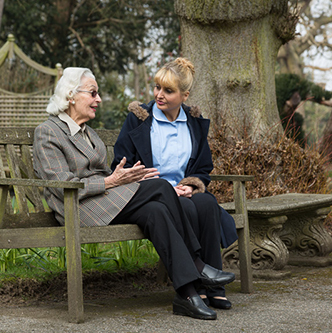 We offer expert nursing, residential and long-term respite care for the elderly. The Mills Care Group also has staff with specialist training in dementia care as well as other conditions to ensure every need is met. We take great pride in ensuring the highest quality of care; the Care Quality Commission (CQC) provides the benchmark for everything we do and the Gold Standard framework is the measure for our palliative end-of-life care. At Mills Care Group, we are committed to ensuring the care and support you receive is unique and person-centred. Whilst you will find all our homes pristine, well equipped and every garden beautifully conserved, our care is completely non-corporate. From the friendly faces you see when you walk in the door, to the bedrooms decorated to your exact taste, the great home-cooked cuisine, through to the garden parties, regular outings and variety of entertainment put on in the homes, no request is ever too big or too small. Giving our residents choice is a vital essence of Mills Care Group’s ethos. Before you even walk through the door, we encourage you to look at other homes so you know when you arrive here you are making the right choice. And once here, our regular meetings with residents and families are great opportunities to explore new initiatives, such as the Italian cooking and curry nights introduced in a home where residents were keen to try out different cuisines. Taking proper care of you – that’s what we’re good at. Chislehurst Care Limited: Mills Care Group works closely with the Care Quality Commission (CQC) to make sure we're providing you with the highest standards of care. Mills Care ltd: Mills Care Group works closely with the Care Quality Commision (CQC) to make sure we'reproviding you with the highest standards of care.